This was the home of Pierre Hyppolite Dallidet, a native of France, who settled in San Luis Obispo in 1853 and became a vineyardist. His son, Paul Dallidet, gave it to the San Luis Obispo County Historical Society in 1953, in memory of the Dallidet family that had occupied it for a century. 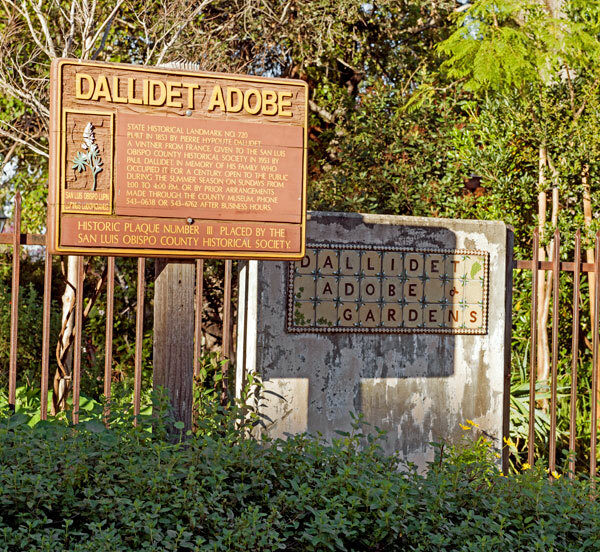 The Dallidet Adobe is enclosed by a fence with a locked gate and the building is not visible from the street. Because the grounds are seldom open to the public, we have been unable to visit the building.